This has been prompted by movement within the C of E towards having women bishops (currently women can be priests but not bishops). Some of those who do not approve of this move feel they can no longer remain in the Church of England, since they feel they would not be able to avoid the ministry of women, as they have been able to up until now - at present a congregation can vote not to have a woman priest in their church, and opt to be cared for by a "flying bishop" rather than by their Diocesan Bishop. The plans to ordain women as bishops include careful provision via a code of conduct to ensure that those who are unhappy with the ordination of women can continue to worship and conduct their church's life without having to deal with ordained women, but for some this compromise has not seemed sufficient, with the result that they feel they cannot stay. Our new Diocesan Bishop, James, has sent out a pastoral letter to the Diocese to explain what this might mean for local churches. I have posted the text of his letter below. If you would like to know more, I often find that "Thinking Anglicans" has a good round up of news and views on the subject. There is also information on the website of "Watch" (Women and the Church", including a leaflet here, and, if you want to find out the views of those planning to join the Ordinariate, this website is a good place to start. The establishment within the Roman Catholic Church of the Ordinariate for former Anglicans moved forward significantly last weekend with the ordination as priests of three former Church of England bishops, and with the nomination of one of those former bishops, Father Keith Newton, to be the Ordinary of the Ordinariate. With the Ordinariate thus beginning to become a reality, this seems the right time to write to you about this and related issues. I want to underline first of all that this takes place within the setting of rich and strong relationships between the Church of England and the Roman Catholic Church at national, diocesan and local levels. We work together closely in many places, as we do with Christians of other denominations and traditions. We have also become used in recent generations to a fairly constant pattern of people moving between different denominations for a variety of reasons. As the Ordinariate becomes a reality, some clergy and lay people in congregations within the Diocese of Rochester are considering seriously whether to join it. Equally there are those from the same congregations who have clearly indicated their intention to remain within the Church of England, and their desire to maintain the life of their parish churches. Our diocese of course includes many who greet the prospect of women being ordained as bishops with joy. We also have those who, while having serious reservations about the proposed legislation, are waiting to see how the national discussions go forward. That draft legislation for the ordination of women as bishops has now formally been referred to dioceses, and will be considered through our deanery and diocesan synods later this year. This process will be introduced at our Diocesan Synod meeting on 5th February. At the same time, Bishop Brian, the Archdeacons and I continue to meet individuals and groups who have differing views and perspectives. Some specific questions have been aired through the media and elsewhere concerning some of the legal and pastoral arrangements if and when a priest and/or groups of lay people decide to move into the Ordinariate. National guidance from both the Church of England and the Roman Catholic Church is being made available as things move forward, and the following points may be helpful. Stipends. Where a stipendiary priest moves to the Ordinariate, there will be a stage in the process when that priest (whether at the point of becoming a Roman Catholic or by earlier resignation) ceases to hold office in the Church of England. At that point payment of a stipend would automatically cease. I understand that the Roman Catholic authorities are in discussion about the support of priests (and where relevant their families) after that point. National level contact between the House of Bishops and the Catholic Bishops’ Conference will seek to facilitate that move. Housing. For a priest living in a house provided by the Church of England a similar pattern would apply. While the formal right to housing would come to an end when the priest ceases to hold office, we would be in discussion with the individual and the Ordinariate authorities about the timing and other practicalities of a move of home. Pensions. There have been press reports that priests moving to the Ordinariate would lose their pensions. This is not true. Pensions earned in respect of the years of stipendiary service within the Church of England would still be payable at the appropriate time, as is the case for any priest who moves out of stipendiary ministry before retirement age. Parish Churches. 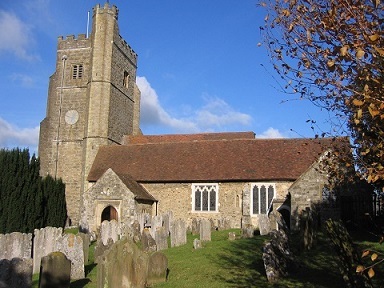 A Church of England parish church is owned neither by its congregation nor by the diocese; it exists for the whole parish community and population and would remain a Church of England parish church even if all of its present congregation were to join the Ordinariate. The PCC also continues to exist as a legal corporate entity even if many or all of its individual members depart. Congregations who remain. It is in fact very unlikely that whole congregations will leave and we will, therefore, need to make arrangements for the continuing worship, support and pastoral care of the remaining congregation. It is possible that a neighbouring or retired priest would be asked to provide this care on an interim basis, working with the Rural or Area Dean. By virtue of the priest becoming a Roman Catholic, the benefice would of course have become vacant and so the normal vacancy discussions would soon begin under the guidance of the Archdeacon. The nature and outcome of those discussions would, as for any vacancy, depend on the particular circumstances in each parish, the mission opportunities and so forth. Ordinariate Congregations. The Archbishop of Westminster has on several occasions made public his view that Ordinariate congregations should worship in Roman Catholic parish churches. While the sharing of a parish church by two congregations is perfectly possible under the Sharing of Church Buildings Act, such an arrangement would require the consent of the (continuing) Church of England PCC, the Bishop and the relevant Roman Catholic authorities. It is, therefore, not expected that many new Sharing Agreements will arise as a result of the Ordinariate. Church Schools. A Church of England school (whether aided or controlled) is of course Anglican by virtue of its foundation. This status is, therefore, not affected by the decisions of particular priests or lay people to join the Ordinariate. Decisions will have to be made case-by-case in relation to individuals who are Foundation Governors. That said, our schools of course seek to be inclusive rather than exclusive and welcome children from many different faith communities. I hope that these comments may clarify some of the issues that have been raised, especially where media reporting has been less than clear. If a personal conversation about any of these matters would be helpful, please do not hesitate to be in touch with me, Bishop Brian or your Archdeacon - for those needing fuller guidance, more detailed advice is available particularly on the legal aspects. Please also hold in your prayers those for whom these issues are particularly personal and focussed. For any who move to the Ordinariate, we would wish that to be with grace on all sides; for those of us who remain within the family of the Church of England in this diocese, our desire should be for continued fellowship and shared mission alongside the Roman Catholic community in all its forms.